Whether it’s New York State or New York City, they’re at the top of the list in the National Register of Historic Places, the official list of the Nation’s historic places worthy of preservation. 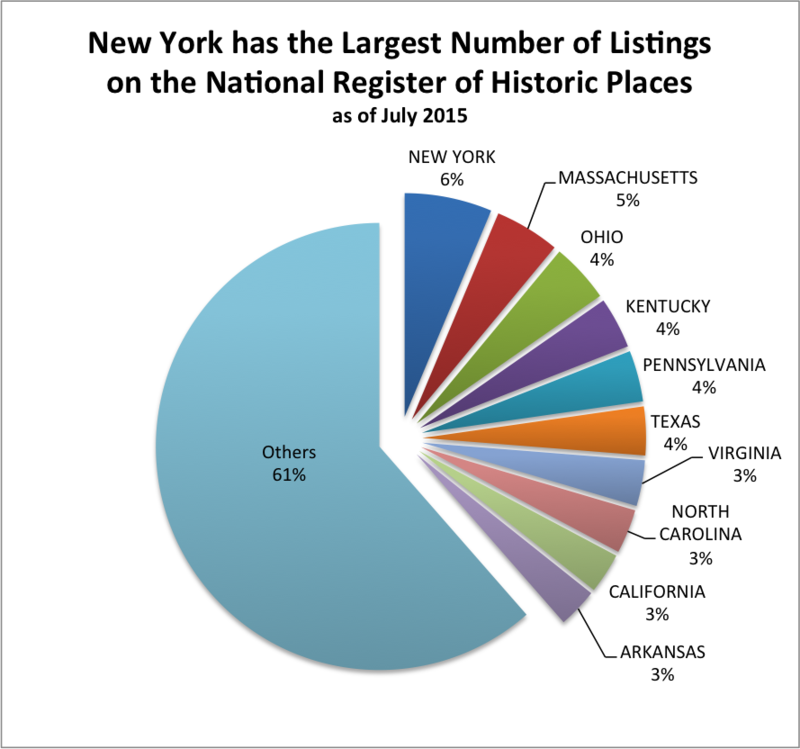 The State of New York has 5,774 properties and the City of New York has 766 listed on the National Register as of July 2015, the latest information available from the National Park Service. More than 90,000 properties have been added to the Register since it was established by Congress in 1966 (yes, next year is its fiftieth anniversary). If you were wondering about #8 Price, Utah, they’re mostly archaeological sites (such as Nine Mile Canyon, which has the largest concentration of rock art in the United States) added to the Register in the last five years. This entry was posted in Historic preservation and tagged National Register of Historic Places on December 9, 2015 by Max van Balgooy. Max, How does this list account for National Register Districts?